The CM300xi-SiPh is the first verified integrated measurement solution on the market that enables production-proven, optimized optical measurements right after installation – without further development.The unique Autonomous SiPh Measurement Assistant provides a groundbreaking set of calibration and alignment tools, the powerful SiPh-Tools software package, and all tools and fixtures needed to enable you to measure your photonic devices in days instead of months or years. FormFactor's Autonomous Silicon Photonics Measurement Assistant enables and optimizes silicon photonics coupling. 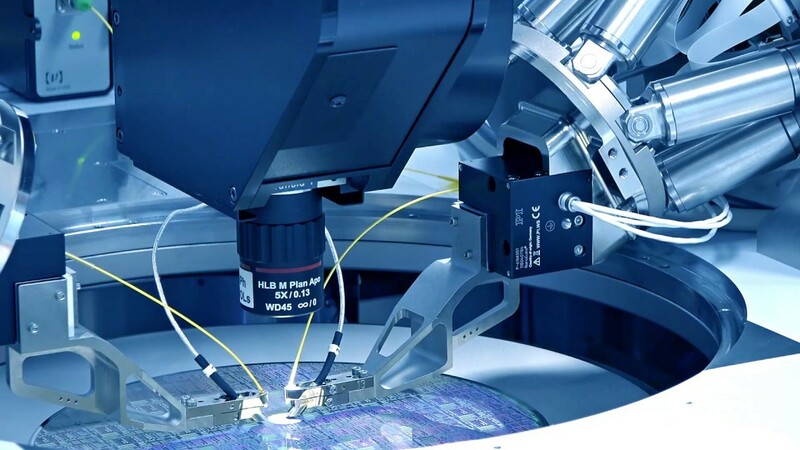 The use of single optical fibers and fiber arrays as probes to couple light into and out of a wafer surface creates many challenges that FormFactor manages through its Contact Intelligence technology.